Join small business experts and other aspiring entrepreneurs at this special workshop to learn how to turn your idea into a business in just one day! Lunch provided & Registration is required to attend. 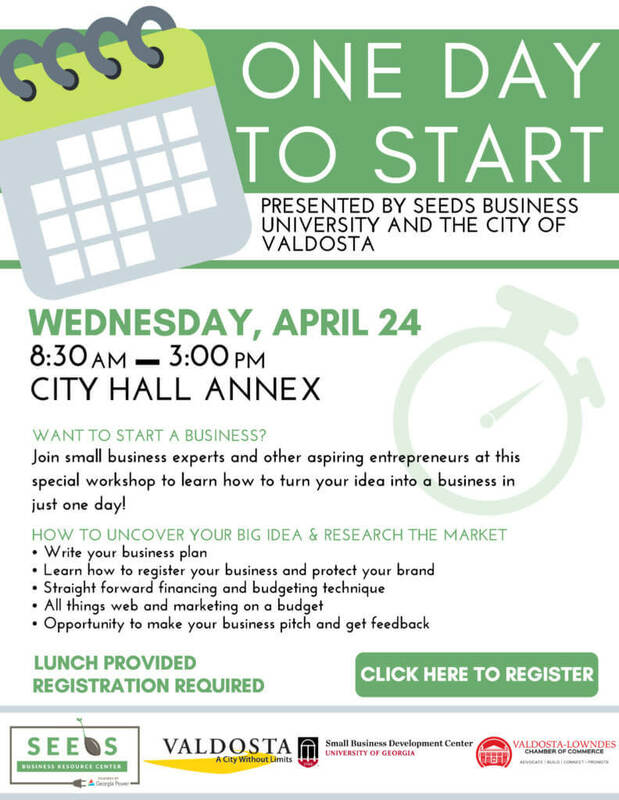 This is a free class presented by SEEDS Business University, SBDC and the City of Valdosta. DEADLINE to Register is 5pm on April 22.